If you have a love of sparkly high heels. Imagine being able to wear them as part of your fitness routine! Marawa Wamp has become an Instagram superstar after she decided to combine her love of heels into her fitness routine by getting roller skate high heels especially made for her! Marawa skates all over the world as a showgirl under the name "Marawa The Amazing". Marawa gets these made by an expert prop maker. She currently owns three different pairs of heels which she redecorates to match her outfits. Marawa Wamp holds currently 11 World Records for roller skating and hula hooping in heels! If you want to own a pair of roller skate heels yourself there is currently one option on the market from YSL. 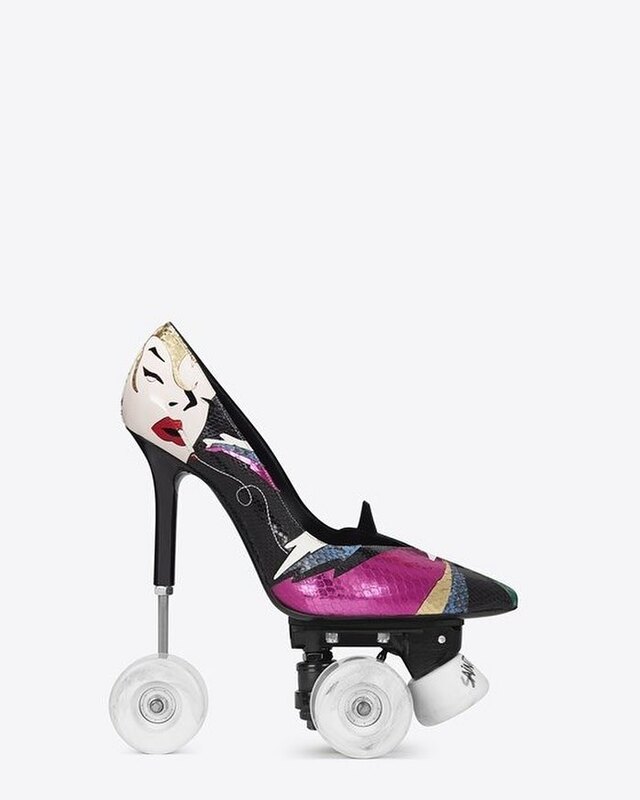 HOWEVER... the YSL Roller skate heels will cost you 800 OMR for one pair!